Jeremy is becoming embarrassed and troubled by the increasingly human behavior of William’s clone, and says so to his friends. Unfortunately, the conversation is overheard by Milly and Tamiya who, believing that they have landed a scoop, set out to interview William’s double. The clone leads the two budding reporters to the factory. 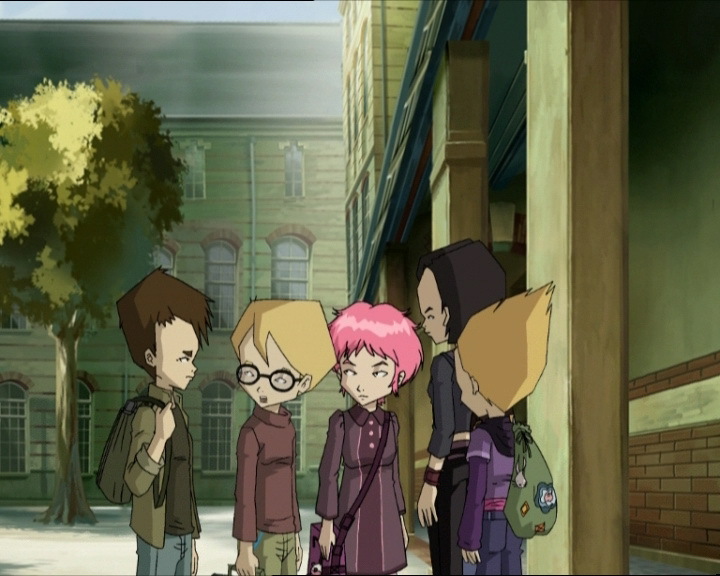 Meanwhile, the Lyoko Warriors are off on a mission to destroy another Supercomputer hidden in a military base somewhere in the New Mexican desert. But the mission is interrupted when the real William appears… in the computer lab! 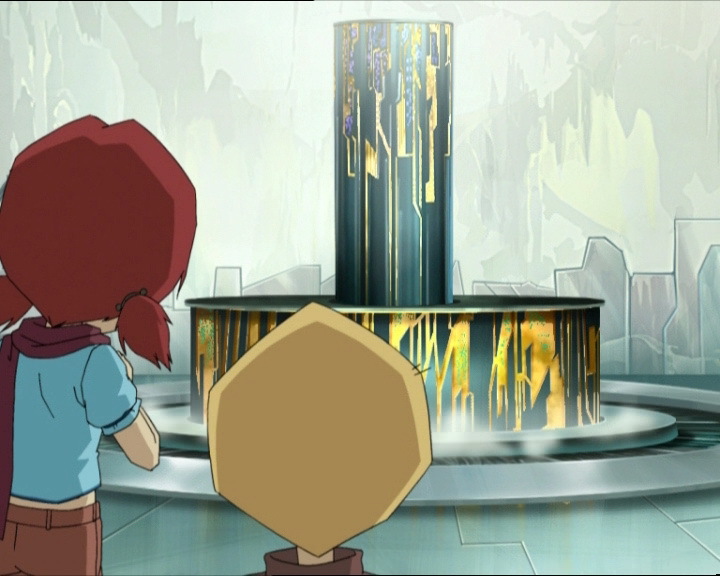 The episode begins in the cafeteria where Odd and Aelita are testing their reflexes. Using their forks as a food catapult, they try to catch food items after they’ve been catapulted. Odd does so successfully while Aelita misses her mandarin and it flies into Sissi’s food, splattering it all over her. As Miss Kadic screams, William’s clone finds the game amusing and decides to try it out! He catapults, not a food, but its glass. Luckily nobody was hurt, because in one swift movement, Jim caught the glass, before giving William detention. Jeremy isn’t worried because William got detention, but he still looks very worried: he explains that William’s clone is a basic spectre that isn’t supposed to take its own initiative, like imitating human beings for example. Jeremy can’t explain how it happened, but recalls that he upgraded its program to make it less stupid, and this program could be responsible. At the end of the meal, Jeremy makes another announcement: he upgraded the Superscan to detect Replikas on the network, and he’s already found a second one! He proposes they go to attack it that evening! Jeremy hypothesises that destroying all the Replikas will be the key to XANA’s destruction. He finally reassures his friends about the clone: it doesn’t have feelings, so punishment isn’t that big a deal. In a stroke of bad luck, Milly and Tamiya hear this last sentence. Intrigued, they think back to William’s bizarre behaviour in the past few months. They’re certain they’ve found a scoop and ambush the clone at the end of its detention. What follows is an endless string of dialogue about the clone’s stupidity, which the journalists can make neither head nor tail of. Nonetheless, they discover that there are two Williams! They use diverse tricks, Milly even tries to make him think she wrote him a love letter. It’s at that moment she learns of the second William. They end up convincing the false William to give them proof and it decides to find Jeremy. The clone takes them to the factory! At the factory, the heroes leave in the Skid for the new Replika. 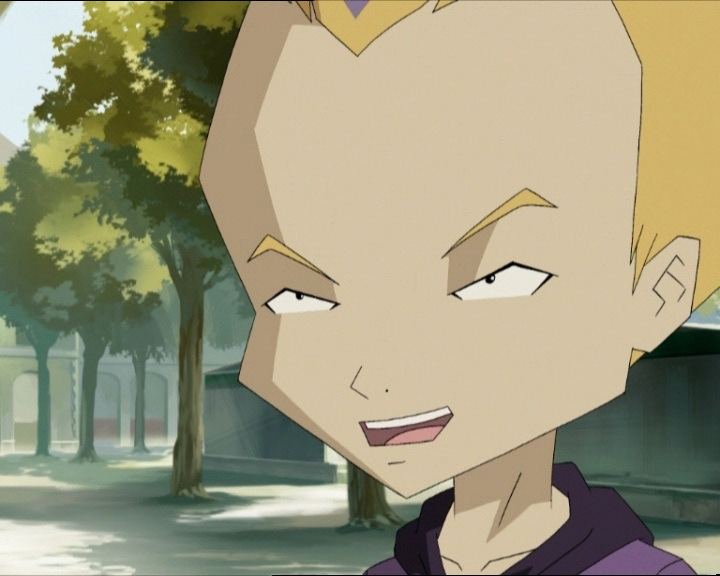 Their discussion isn’t very philosophical and turns to Odd’s bragging and their competence on Lyoko! They easily find and enter the Replika: it’s a Replika of the Desert Sector! Without wasting any time, Aelita anchors the Skidbladnir to a tower, which Jeremy activates! Ulrich and Aelita are quickly Translated. They appear in New Mexico, at an abandoned military base! 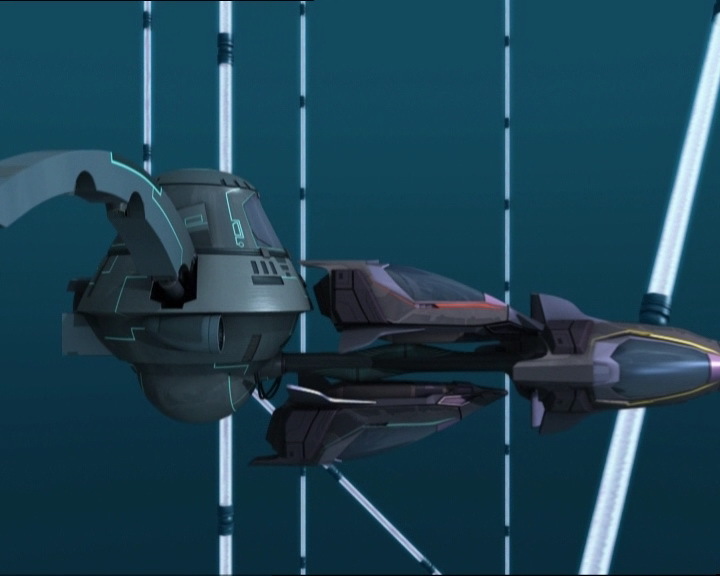 On Lyoko, Hornets appear and begin to attack! Jeremy sends their vehicles, but he remarks an alarming detail: one of the scanners is activated…the real William was devirtualised! He doesn’t come up to the lab like Jeremy thought he would; he goes down to the Supercomputer room. At the military base, Aelita and Ulrich discover a room full of lit-up machines! Assembly lines work on circuit boards. Yumi and Odd finish up with the Hornets and wonder what to do. Ulrich and Aelita are Translated, so they’re stuck where they are defending the Skid, leaving Jeremy on his own. And the Skid needs them: Tarantulas approach! In the Supercomputer room, Jeremy, armed with a metal bar, unsuccessfully tries to attack William. The XANAfied boy throws him into a wall and knocks him unconscious! Against all odds, William’s clone, flanked by the two journalists, arrives in the Supercomputer room. Driven by instinct, it orders the original to leave Jeremy alone and charges. A titanic duel ensues between the clone and the XANAfied original! 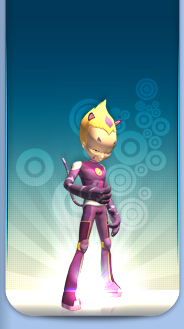 Jeremy asks Tamiya to go take the lab microphone and ask the Lyoko Warriors to come back in! Jeremy himself can’t move. 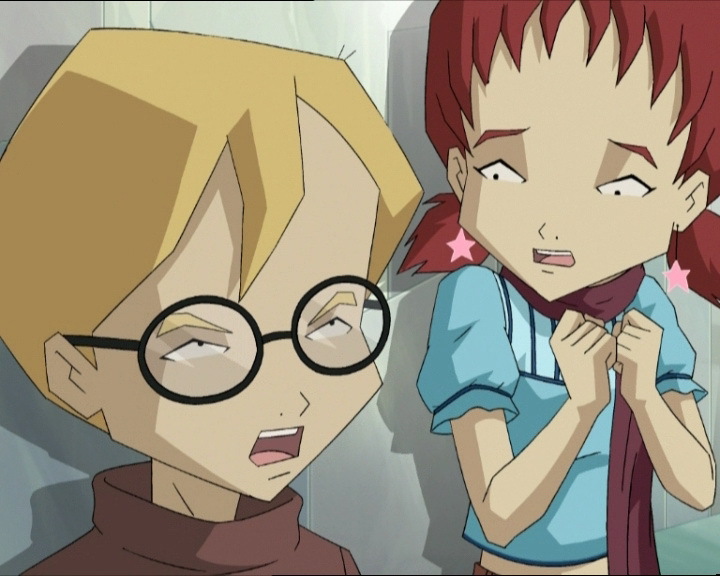 In New Mexico, Aelita and Ulrich have no news from Jeremy! Worried, they decide to abort the mission and detranslate themselves using their own weapons and powers! Yumi and Odd are against three Tarantulas. Using Odd’s Overboard with her telekinesis, Yumi gets rid of one of them! They then receive Tamiya’s directives: they stop trying to exterminate the Tarantulas and return to the Skid on foot, their vehicles having been devirtualised! At the same moment, Aelita and Ulrich are detranslated! When they wake up, Yumi and Odd have finished off the arachnoid monsters! At the factory, the good William has the advantage! He throws the evil one into the lift. William takes advantage of this to go up to the lab and take the controls! From the terminal, he bugs up the Supercomputer’s cooling system, threatening to overheat it! Tamiya’s weak resistance can’t stop him! When the clone returns to confront him, William disintegrates him by using the computer! In the Digital Sea, the heroes must deal with two Sharks. On board their Navskids, they dominate them without much difficulty! 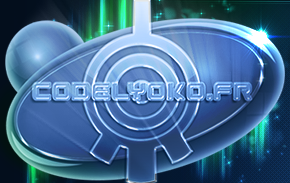 They then continue on to Lyoko! Arriving in the Skid hangar, they leave their submarine and devirtualise one another. They arrive too late, William sets up a delayed virtualisation while they’re in the lift and returns to Lyoko! But his plan fails: Aelita fixes the cooling system. 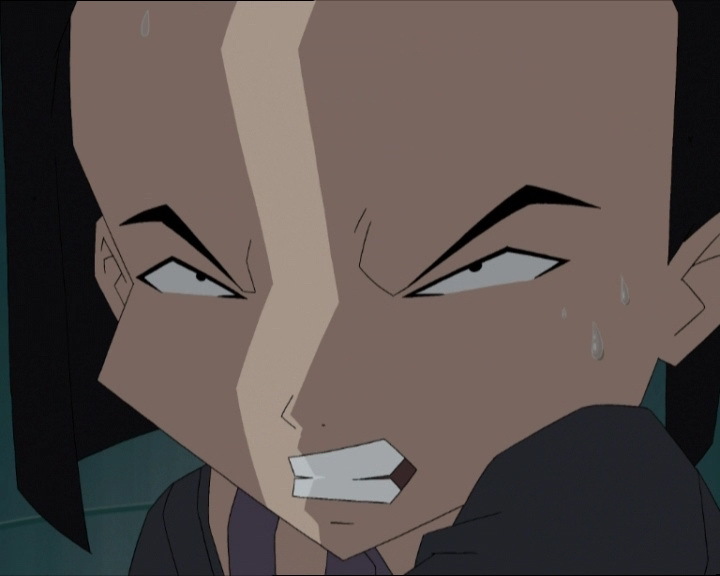 Not long after, the Lyoko Warriors let the overly excited journalists interview them about their fight against XANA. Then Jeremy launches a Return to the Past. Back at school, Odd stops playing with his food. Jeremy announces that that’s for the best, but he should still get rid of the William clone’s upgrades: they contain files responsible for XANA’s autonomy. The heroes don’t dare imagine the consequences if the William clone becomes sentient and escapes like XANA did with Franz Hopper. - Attack: None. However, XANA sends William to Earth to foil the heroes’ mission on the network to travel to the next Supercomputer. - Return to the past to erase the memories of Milly and Tamiya. - Jeremy upgrades the program for William’s clone in order to make it less stupid. - Discovery of the Sharks. - Discovery of the Desert Replika and the Supercomputer that generates it. - First time Yumi uses her telekinesis on the Overboard. - Only time William's clone, Milly and Tamiya discover the factory. - Jim weighs 102kg (240lbs in the English dub). - It's daytime outside William's room while it's meant to be night. 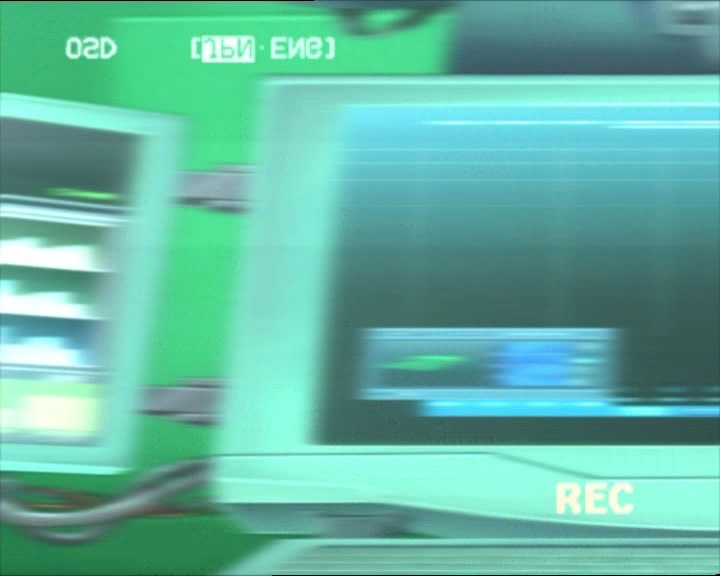 - The factory microphone disappears from Jeremy's ear when he sees William leave the scanner, and it appears in Aelita's left ear at the moment when she declares she has stopped the deactivation of the Supercomputer's cooling chamber, though she hadn't put it on. 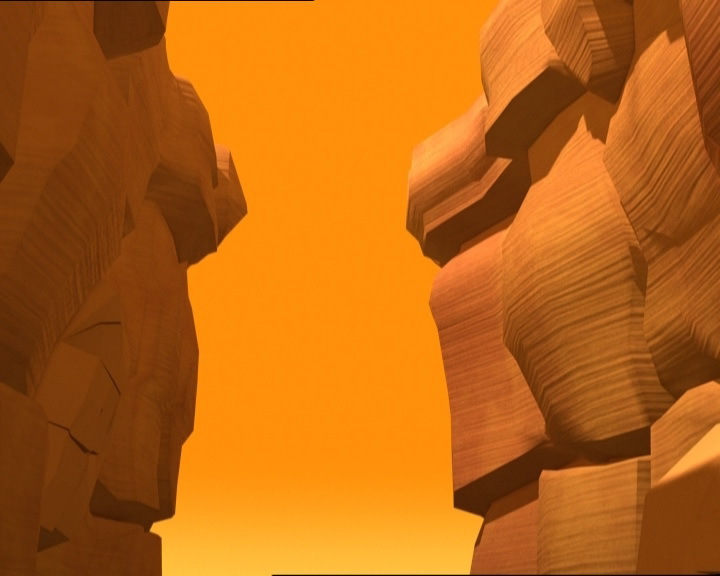 - The heroes will return to the Desert Replika and destroy it a few episodes later. - First time Hornets have their wings cut off! - First time XANA attacks the Supercomputer's cooling system. - Second time XANA sends William to Earth. - The heroes have been fighting XANA for two years. - New allusion to the games Executor 2. - Ulrich, Aelita and Odd are devirtualised exactly like in episode 44 “Vertigo”. - Jim is reading the same comic as Ulrich does in episode 66 “William Returns” and 67 “Double Take”. - Hearing Ulrich and Odd talk about their combat exploits reminds us of their competition in episode 58 “The Pretender”. - The entrance to the base in New Mexico strongly resembles the entrance to the petrochemical plant in episode 4 “Log Book”. - The access code to the Desert Replika is the same as the one for the Forest Replika in episodes 78 “Lab Rat” and 79 “Bragging Rights”: 79669! Allusion to episode 27 “New Order” in which Odd nicknamed the first Tarantula, which devirtualised Ulrich, Yumi and Odd. - Jeremy alludes to the first Replika in episodes 78 “Lab Rat” and 79 “Bragging Rights”. - Only episode in which we see the Skidbladnir return to the garage. Area 51 is a geographical region of Nevada in the USA - also called Dreamland, Watertown, The Ranch, Paradise Ranch, The Farm, The Box, Groom Laje, Neverland, or even The Directorate for Development Plans Area - where a secret military base is. They test, among other things, experimental equipment there. Odd: Like I told you, my Odd-like sixth sense defies all imitations! Aelita: Ok showoff, now admire my Aelita-like sixth sense! Jim: Dunbar! Haven’t you heard that forks aren’t meant to play with, but to eat with? Jim: The glass is empty, but that is the very last straw. You wanna play being an idiot? Well two can play at that game! Jeremy: William’s clone is not supposed to act like that! Odd: Oh…it doesn’t matter if he gets punished, he’s not even human! Jeremy: That’s just it: he’s a polymorphic spectre, driven by a basic, non-evolutionary behaviour program. Ulrich: Could you say that in words? Jeremy: Hm…William’s clone shouldn’t be capable of taking any personal initiatives, like trying to imitate Odd’s stupid stunts, for example. Yumi: And how do you explain it? Jeremy: Well, yesterday, I installed an upgrade for his software, something to improve his artificial intelligence. Y’know, something that would make him appear less stupid! Ulrich: Hm, you think that imitating Odd makes him look less stupid? Jeremy: Well we’re gonna have to play it by ear, I may have to delete the upgrade. All we need is for William Junior to start making waves! Aelita: I feel bad for William’s clone. It’s my fault that he’s in trouble with GI Jim! Jeremy: No reason to feel bad, Aelita. It’s like Odd said, he’s totally artificial! Aelita: Like I was not all that long ago. Jeremy: But that’s not the same, an artificial clone has no feelings, Aelita… (watching the clone) At least, not for now. Milly: It means we’ve got a scoop! Jim: Anyway, you get the picture! Clone William: Get the picture? Where is it? Odd: Replika, here I come! Odd the best, the greatest, the mean, lean, XANA-breaking machine! Ulrich: “Lean” sounds right, I don’t know about the rest. Aelita (exasperated): Hey, cut the hot air and let me concentrate, ok guys? Milly: Do you think Jim throws his weight around too much? Clone William: He weighs 240 pounds, which is too heavy for his height. Milly: That’s not what I meant. I meant that he can be…a real windbag sometimes! You get my drift now, William? Clone William: No. Sorry, but I can’t even feel a breeze! Tamiya: Are you an idiot or something? Clone William: That’s a little hard to explain. Yumi: Your localisation program works like a charm! At this rate, we’ll be able to wipe XANA out in no time! Tamiya: We’re not gonna get anything out of him, he’s been like a vegetable for months now! Milly: Leave this to me, I’m gonna bluff him out! Odd: Too bad Ulrich’s been Teleported already, he won’t be able to admire the exploits of Odd the Magnificent and weep with jealousy! Yumi: Mm, yes, even though last time he did save your neck, didn’t he? Odd: Hey come on, don’t you start now! Jeremy: Calm down you guys, save your strength for XANA and his pals! I’ve just spotted Aelita and Ulrich, they’re in New Mexico right now! Ulrich: Looks something like a military base. With no-one here, it shouldn’t be too hard! Jeremy: You’re right Ulrich: it is a military base. And it’s obviously been abandoned. I located a plan of it on the Internet, so I can guide you. Ulrich: This is really weird. I bet we’re in Area 51. Aelita (sounding professional and teasing): The base at Roswell? The one with all those aliens? No, it wasn’t the same at all. Ulrich: Wait a second, how do you know what Area 51 looks like? Aelita: I don’t, I was just kidding! Yumi: Hey, he didn’t say “go” yet! Odd: Wow! Not very polite little beasts, didn’t even introduce themselves! Einstein, we could use a couple of taxis! Jeremy: Ok, right away. What’s going on? How come I got an activated scanner? Did anyone just get devirtualised? Yumi: If it wasn’t us, who was it? Jeremy: I have no idea, but it sure isn’t someone we wanna meet! William?! Yumi: William?! William’s in the factory?! Jeremy: It sure looks like it! I’ll handle it! Odd: We have to get back to the factory! Einstein, are you there? Can you hear us? Yumi: There’s no need to yell, he’s probably trying to figure out a way to keep William busy. Besides, you and I are stuck here! Odd: I tell you, we’ve gotta go! Yumi: Odd, Jeremy hasn’t Teleported Ulrich and Aelita yet. We can’t do it for him from here, we can’t join them out there, we have to protect the Skid at all costs! So we wait. Odd: I hate waiting! There must be something we can do! Yumi: There is: defend our position. Jeremy: I had no idea you were into computers, William! Ulrich: Whoa, check it out! It’s like a scene from Executioner 2, and it smells like Odd’s feet in here! Aelita: What worries me most is that we’ve lost contact with Jeremy. We have to find a way to get back to the Skid, and then return to the factory! Ulrich: Abort the mission? Look around you, Aelita. XANA’s putting something really serious together. Ulrich: Well anyway, if we do decide to abort, there’s only one way for us to get back to the Skid! XANA-William: And now, you’re going to witness the total destruction of the Supercomputer, and the end of your little gang of friends! Clone William: Hello Jeremy. Uh, do you have any proof that you could lend me? (seeing the real William holding Jeremy) Get your hands off of Jeremy! Jeremy (seeing Milly and Tamiya): Hi girls, what are you doing here? Milly: Which one of them is the real William? Jeremy: It’s very simple: the real one…is the bad guy…oh, listen, you two girls have to go back to the computer lab…and tell the others that they gotta get back here…and fast! Odd (seeing Yumi use her telekinesis): Oh no, my Overboard! Yumi: Another one bites the dust! Tamiya: Hello? Anyone out there? Hello? Odd: Huh? Einstein? What’s with that voice of yours, you catch a cold? Tamiya: Uh, no, uh, it’s…it’s Tamiya! Yumi: Tamiya, what are you doing at the factory? Well that’s one heck of a surprise! Where’s Jeremy? Tamiya: Jeremy told me to tell you to come back right away, uh…whoever you are! Yumi: We’re on our way! (to Odd) Fun’s over, we’re going home! 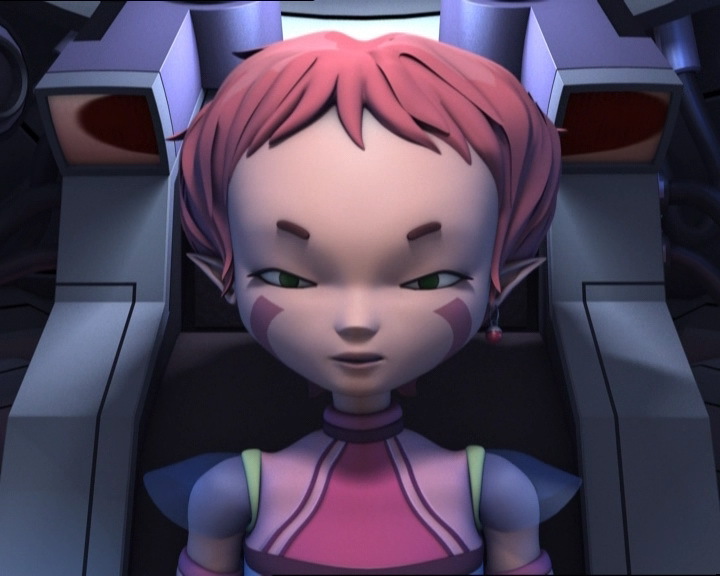 Aelita: Did you hear that? If Tamiya’s in the factory, we’ve got a big problem. Let’s go! Yumi: Ulrich and Aelita might have been Teleported! Odd: Yoohoo, anybody home? Those Tarantulas stick to you like glue! Clone William: That oughta hold you, William bad guy! Jeremy: No! Not at all! He’s going up to the lab, he can still mess with the programming and get rid of the others. The trap door, go on, William, you have to stop him before he starts doing some real harm! Tamiya: Huh? Oh, which one are you, the good guy or the bad guy? XANA-William (evil look): The good guy! Yumi (seeing the scanner not opening): Thanks for the welcome! XANA-William: I don’t have to deal with you, but I do have to wreck everything! Clone William (charging at the real William): Yaaah! XANA-William: You’re nothing, just an insignificant bunch of digital dust! Aelita: Mm…I really didn’t feel like fishing…bombs away! Odd: Hey! Keep to your right, Sunday driver! Odd: I’ve got one stuck to me! That’s worse than forgetting a candy bar in your jeans during a heat wave! Ulrich: Just another groupie crazy about Odd the Magnificent! Ulrich: Well that takes care of that! (to Odd) Aren’t you tired of me saving you all the time? Aelita: Everyone to the Skid ASAP, we’ve already lost a lot of time! XANA-William: The cavalry’s finally here! Only too late, as usual! Milly: Oh yeah? We’ll see about that! Tamiya: Be careful, Milly! He disintegrated the other William just by pushing a button! Milly: It’s six against one, so just give up! Milly: Go on, run away, go back to where you came from! Tamiya (with her camera): How long have you been fighting against XANA? Jeremy: We began about two years ago. Tamiya: And does this happen a lot? Odd: Are you kidding? It happens all the time! We fight XANA almost every day! Milly: Wow! This has gotta be the best scoop we’ve ever had! Jeremy: Hold on a sec, let me tell you one last secret! Milly: Oh great, let’s hear it! Jeremy: The reason you’re not gonna remember any of this is…Return to the Past now!